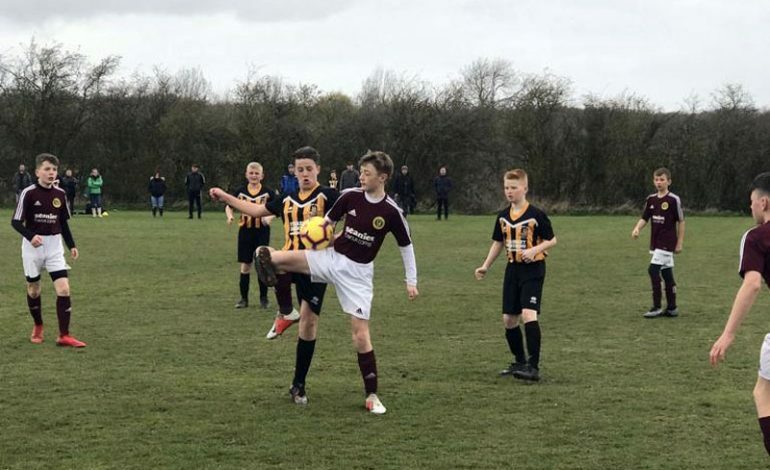 It was another exciting weekend of Football action for the Aycliffe Juniors teams. The Under 7’s White got back to winning ways with a 3-2 win against Bishop Juniors. The Aycliffe team started slowly and found themselves 2-1 down at half time but they improved after the break to seal the victory. There was a brace of goals for Joel and one for man of the match Jack R.
The Under 10’s White faced Sedgefield at Woodham. They started well and put together some good passing moves. However after an own goal was conceded the visitors got on top and ran out 6-0 winners. Ido was the man of the match. In the development game man of the match Ethan scored and the game ended in a 5-1 defeat. The Under 11’s White played Wynyard at Woodham and a great performance ended with a 7-1 victory. Niall (4), Ollie, Jayden and man of the match Jack C scored the goals. The Under 13’s Russell Foster League team played away at NSG Athletic. Archie scored in his first game back from injury but a close game was eventually lost 2-1. Louis was named as the man of the match. The Under 13’s TJFA League team played the same opposition as last week, Grangetown, at home. They started with only ten players but took the lead when Liam crossed for Zack to head in. Unfortunately the visitors dominated the second half to win 3-1. The Under 14’s played high flying Leven and started the game with only ten players and no recognised keeper. There was some great battling and positive play on display but the visitors used seven substitutes and had the extra legs to win the game. Lewis was the man of the match. The Under 17’s played at home against Kader. Mistakes led to early goals being conceded and the Aycliffe team couldn’t find a way back in to the game and slid to defeat.